Seymour Kazimirski volunteers time to talk with former foster youth about taking charge of their lives. HONOLULU — In the latest example of its efforts to restore hope to grief-stricken children, Kids Hurt Too Hawaii continues to take steps to help a group of former foster youth focus on goals. 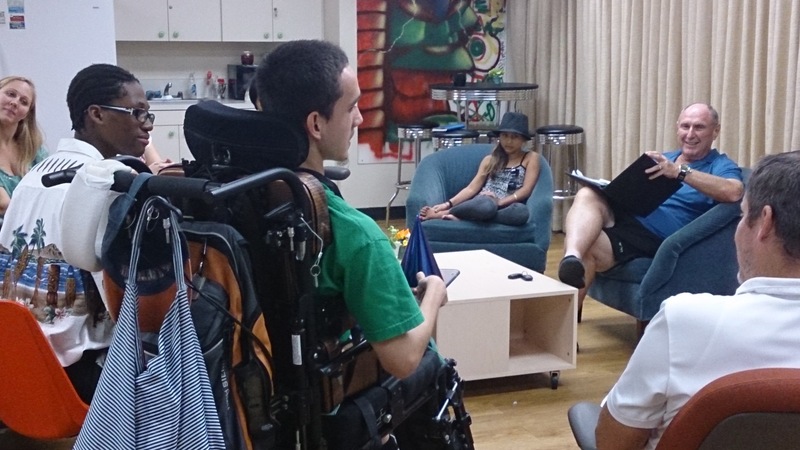 The nine youth in the group met for their weekly meeting led by Seymour Kazimirski, a Kids Hurt Too Hawaii volunteer, who brings expertise in a full range of professional experiences. Kazimirski led the youth, between ages 17 and 26, in a group discussion centered on identifying and reaching goals imp source. Kazimirski is among Kids Hurt Too Hawaii’s dozens of volunteers who are enthusiastic about the organization’s mission and demonstrate their excitement by willingly devoting time and energy toward helping it reach its goals. “I am so grateful that life has been so good to me that I want to help others in making life good for them,” Kazimirski said.